LEVEL UP! Workshop – Camera Tricks in Construct 2! Here’s hoping your end-of-semester crunch is behaving, because we’d hate for you to miss the last LEVEL UP of the 2015-16 school year! Put aside those pesky papers and take a breather from exam preparations! Celebrate the (gradual) arrival of sunshine and vacation with one more Construct 2 workshop for good luck, this time from TAG’s own Sylvain Payen! Whoever has developed sidescroller or top down view games in Construct 2, knows the limits of the default camera. During this workshop we will introduce some tips to create a more dynamic camera (zoom/unzoom, delay, rotation, box etc.) closer to the 16-bit games we’re familiar with and more adapted to your games specific needs. The workshop will be taking place on Monday, April 18th from 6 PM – 8 PM and, as per usual, you can find us in EV 11.425 at Concordia University. – A basic knowledge of Construct 2: This is not a beginner workshop. Participants don’t have to be experts in Construct2, but it is recommended that you know the basics (variables, interface, visual coding etc. ), for example by having completed a tutorial (from the Scirra website) or by having attended to another workshop on Construct 2. – Optional: You can bring your own game prototype if you want to work on it, otherwise we will use examples developed for the workshop. 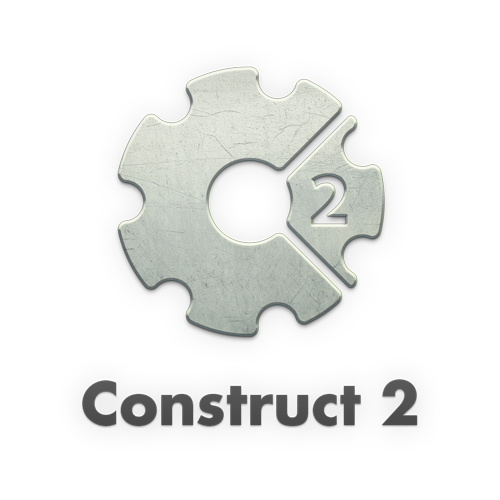 Unfortunately, Construct 2 is a PC-only software, and we highly recommend that you borrow one for this workshop. We will be installing the free version of the program on the Atelier’s computers but availability is, of course, limited. If you have a Mac with a Windows partition it might install properly, or you can try running it in Virtual Box using these old instructions. Sylvain Payen is a PhD student INDI (Concordia University) and an experimental game designer. His doctoral research and creation work constitute a bridge between game design, art and cognitive psychology through the study of emotions induced by the play situations in non-narrative contexts. He graduated in computer science (B.S.) and in game design from the French National School of Game & Digital Media (M.S.). Before his PhD, he worked in video game industry as game designer on social and serious games.